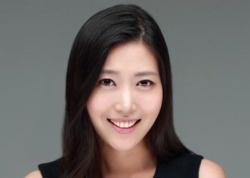 “An Actress Confession” written and performed by Ji Young Choi is an intense ode to human fallibility and how we can stand up stronger after we fall. It is a beautiful and delicate micro memoir cloaked in fragility and inspires us to interrogate our vulnerabilities so we can move positively forward. In this confession Ji Young paints a complex picture of the life of an actress in New York City. She spends years auditioning for Broadway productions in the hope of landing that elusive, big lead role. We watch her transform into recognizable characters from famous plays as she traverses the theater audition circuit. Finally, she lands the role of Nina in “The Seagull” and she cannot believe that this extraordinary opportunity has landed in her lap. Through the course of the following hour she takes us on a heartbreaking journey from elation to devastation. She is thrust into a cutthroat environment where inflated ego’s and petty jealousies shake her traditional upbringing and outlook on life. When she politely blocks the sexual advances of the ‘lead’ film star in the production the rehearsals take an ominous turn. Ji Young must attempt to find the truth of her character in a hostile performance space. Her anxiety grows and her sense of self worth flounders. In this punishing environment she fails to trust her instincts and loses the part just two weeks before opening. In the final rehearsal she is unable to complete the last Nina monologue, which then seems to get stuck inside her creating a creative block that threatens to capsize her career. She struggles to find a way through this debilitating “failure” and through facing it head on, undergoes a powerful catharsis. It is an honest and riveting account of a personal ‘failure’ transformed into useable experience. Losing the part might have initially ‘broken’ her at the time but it also gave her a moment of such unbearable agony that she is now able to bring this necessary emotion to the role of “Nina”. Throughout the show she links the story with the rehearsal scenes from “The Seagull” and we can see an actress with immense gravitas. You immediately think that she would make an astounding Nina if she were to play the part today. Stepping on to a stage is always an act of embracing your vulnerabilities. When you choose to tell a story that reveals you at your most vulnerable – we see a courageous warrior that inspires us to embrace our own hurts, failures, humiliations that are hiding inside. Ji Young Choi gives us a raw, sensitive, heartwarming performance that opens the lid of our own feelings of loss. “Nina” gets metaphorically trapped inside of her and she is initially unable to move forward. But when she finds the way through –she has given all of us the key to do the same for ourselves. She gives a detailed, stylish and elegant performance and moves through the space like an oar through a still lake, pulling us gently along. Ji Young is capable of reaching emotional depths that tug at your heartstrings. Let’s hope she will get the chance to play Nina soon. I think she’s ready for it now.